From left: Jay, Jack, and David. The three work together on Hope Farm, a workforce component to Enlightened Solutions, a holistic treatment program in south New Jersey. Each one had an opioid addiction and has found solace in recovery here. 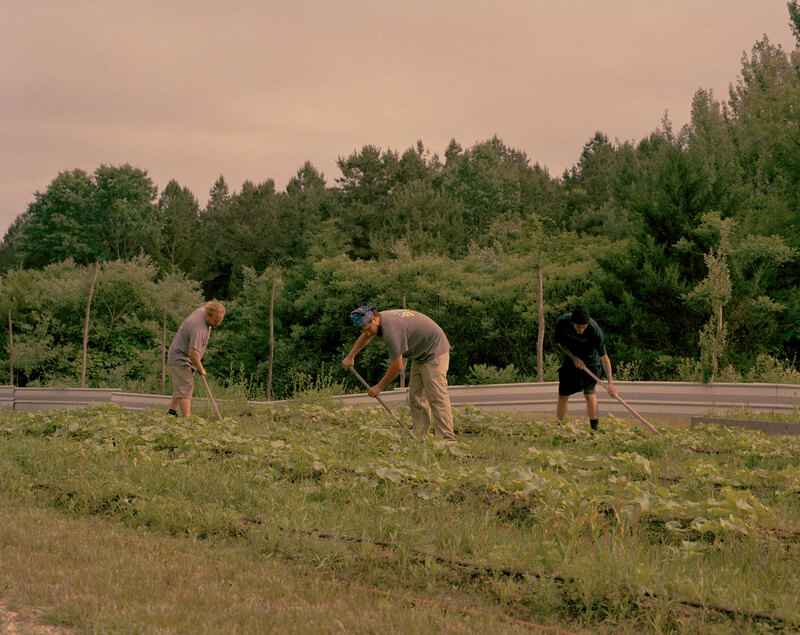 The men who come to work on Hope Farm all have had different journeys and experiences with opioid abuse. But they’re all looking towards the same horizon: recovery. 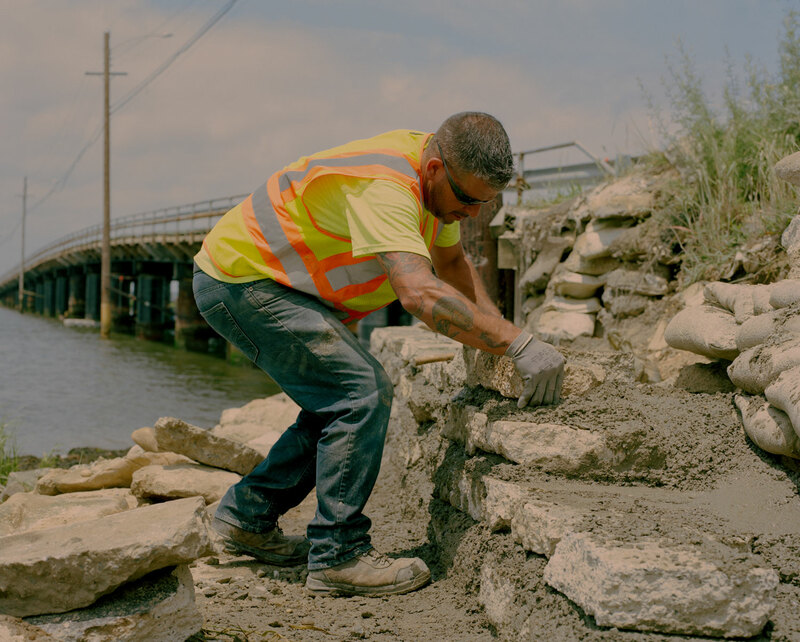 In partnership with Netflix&apos;s new documentary Recovery Boys — which takes an intimate look at the strength, brotherhood, and courage it takes to overcome addiction and lays bare the internal conflict of recovery — Mic&apos;s branded content team spent time with others working toward transformation from addiction. Watch Recovery Boys, from Academy Award-nominated director Elaine McMillion Sheldon (Heroin(e)), only on Netflix. This profile series had no involvement from Mic&apos;s editorial staff. Like many people at 21 or 22 years old, Jason enjoyed a drink or two. But beyond that, his experience with substances was practically nonexistent. His mother was a flower child from the 1960s, he explained, and allowed pot and alcohol in the house. But nothing more. 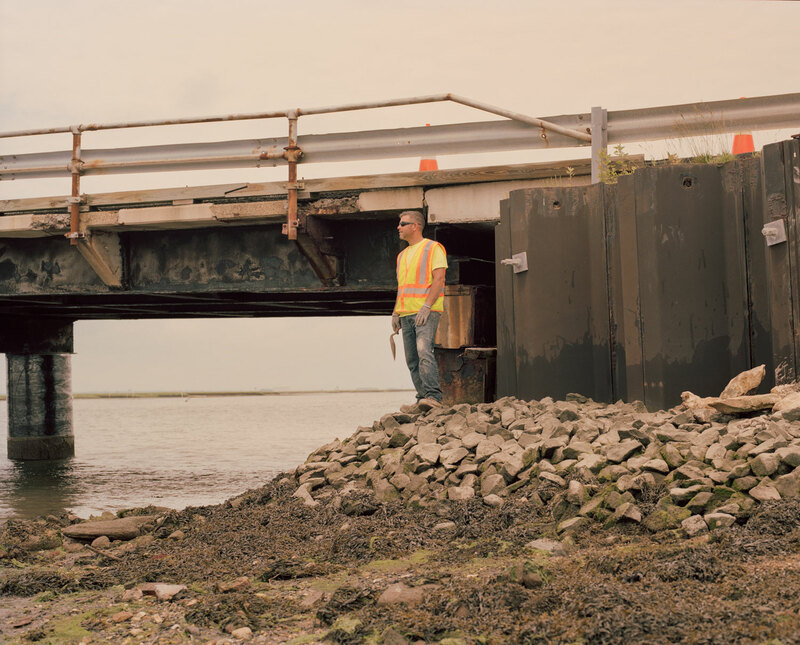 “You know, heroin was one of those words that when you heard it, you were just like, ‘That’s something that I will never, ever do.’” Jason said, pictured above at a construction site where he now works. As his prescription ran down, Jason asked his doctor for more pills to satiate his burgeoning habit. The doctor refused, and advised Jason instead to go to a methadone clinic, which would have more substances to mend the pain. Jason didn’t take the advice, and instead asked around on the street. This was the 1990s, he said; heroin was still very much a dirty word, associated with terms like “junkies” and other stigmas left over from the 1970s, the last time heroin use had reached epidemic levels, prompted in part by Vietnam War soldiers who had been exposed to it while fighting abroad. He couldn’t ever imagine himself putting a needle in his arm — he was older, he told himself, and had held full-time jobs. But still, he needed the pills. On the street, they were $30 to $40 a pop without a prescription. He could only afford that for so long. By age 20, David had been all over America. He had entered and left a total of 22 treatment centers across the country, he estimates. He was on the streets homeless more times than he can count. He didn’t see treatment as a means to recovery, he said, but rather a brief vacation — some time off before he could start using again. 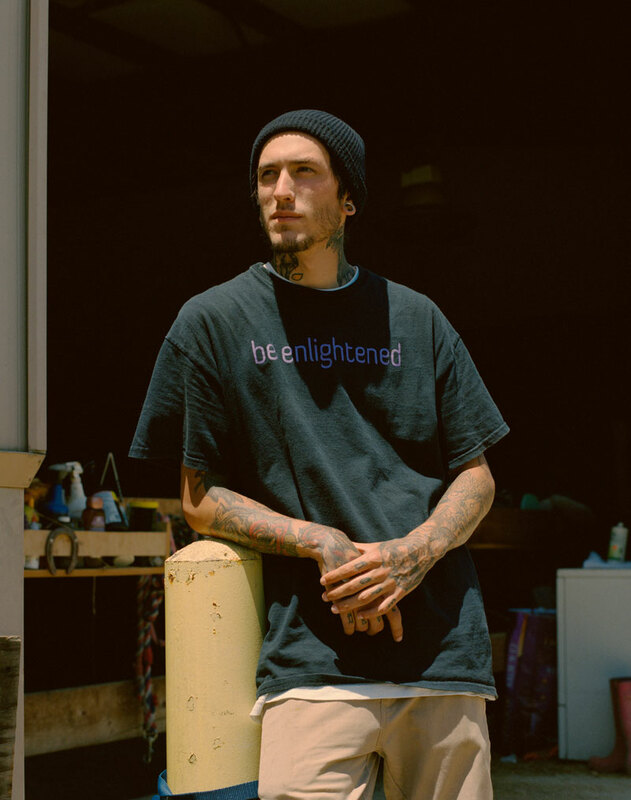 “My mindset wasn’t to go any further, and come back down here,” David said of his decision to enter detox again at Enlightened Solutions, after relapsing. “Because my mindset was still like, ‘I’m still gonna do this my way. I’m going to get high. That’s what I wanna do.’” He’s been clean for seven months. Unable to afford the transition, David was forced to move back in with his father in New Jersey. Two years later, he relapsed worse than ever before. His dad kicked him out, and he sought shelter at motel rooms, on the streets, and a utility closet he broke into at his old high school. At one point, he was able to rent a room in a friend’s apartment, where the floor laid littered with crack pipes and syringes that his adopted kitten would have to navigate through. David would urinate in plastic bottles (“I’m not gonna get up to use the bathroom, because that’ll ruin my high,” he impersonated himself saying), and use the caps to stir heroin with someone’s blood to shoot. This, he said to himself, was it: rock bottom. When Jack entered into detox at Enlightened Solutions, he didn’t know then that he had the same clean date as David. He was in a coma from alcohol poisoning; when he awoke, he settled on Oct. 20, 2017, as the official start time to his larger recovery. But alcohol was only a reprieve; Jack had started using heroin at 13. 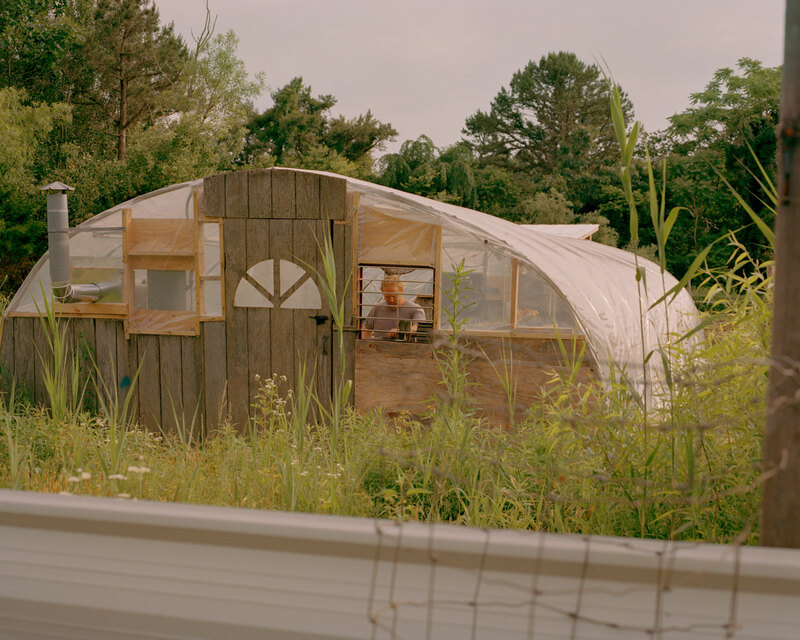 Jack tends to crops and flowers in a handcrafted greenhouse at Hope Farm. Now, the two arrive at sunrise each day to Hope Farm, a repurposed golf course near Enlightened Solutions’ main campus, home to several horses, chickens, cats and an extensive organic farm. It exists as a landing ground for those leaving detox, ready to work again and learn new skills in a budding industry. 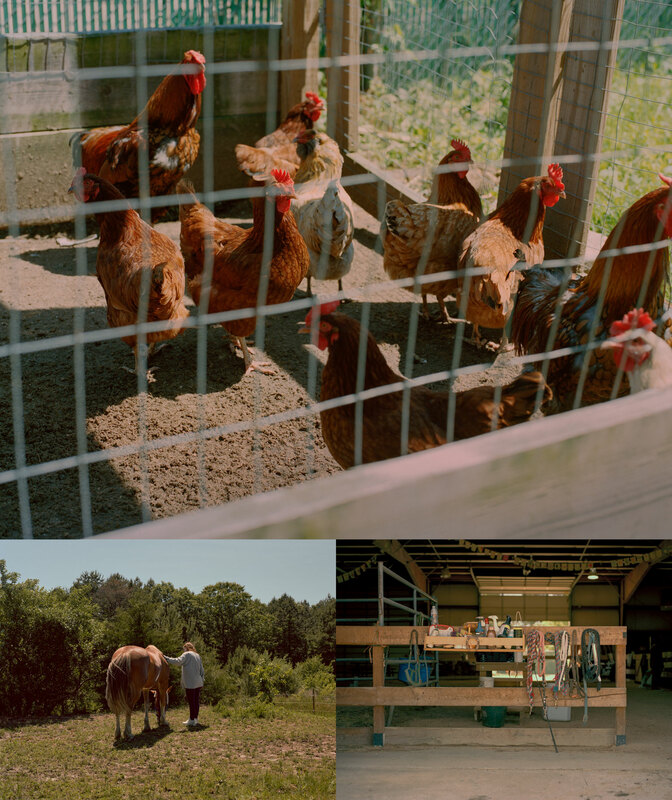 Top: Chickens are among the livestock tended to on Hope Farm. Bottom left: On Hope Farm, those in short- and long-term recovery are offered equine therapy, where handling horses is used as a means to rebuilding communication skills after periods of feeling isolated or disconnected. Bottom right: Farm hands store their tools in a maintenance shed and horse stable. 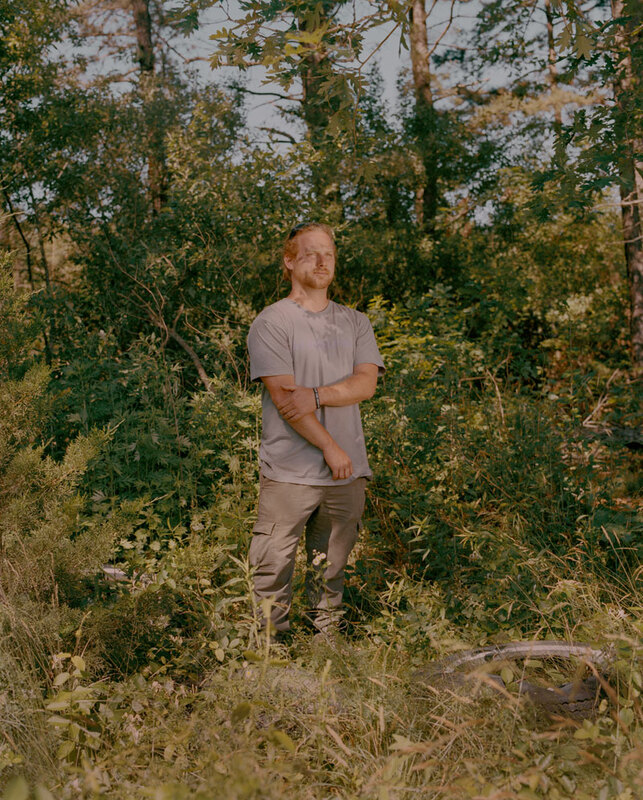 Jason’s downhill spiral, from prescribed painkillers after his car accident to a severe heroin addiction, brought him to the doorsteps of several treatment centers throughout the Eastern Seaboard. When he attempted recovery again, this time at one of Enlightened Solutions’ sober living homes, his skill of building custom beds caught a supervisor’s attention. 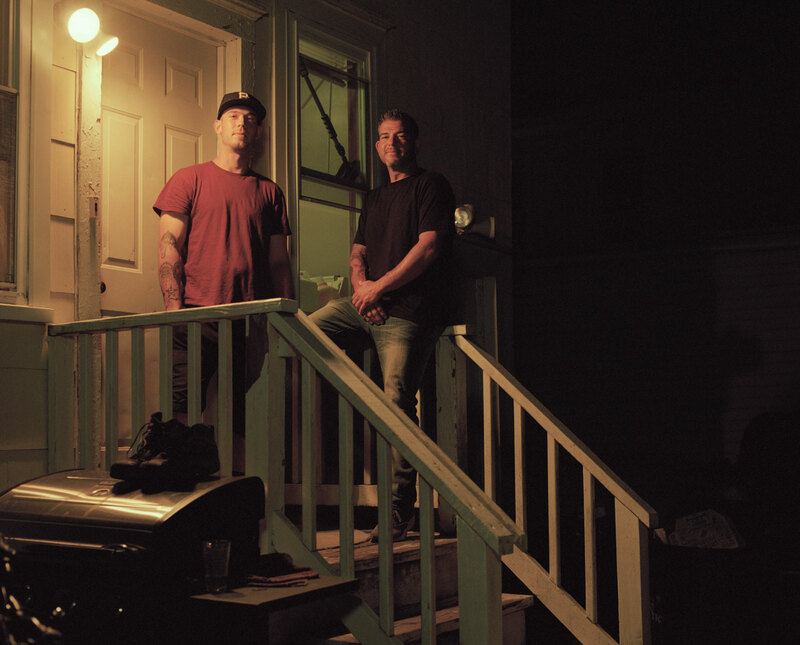 He was given a job at Hope Farm, where Jason, 36, actually met his 23-year-old roommate, Jake. Now, the two both work in construction and live in an apartment together nearby; Jason has been clean since March, and Jake, Christmas of 2017. Before he started using, Jay had some experience gardening at his parents’ house. 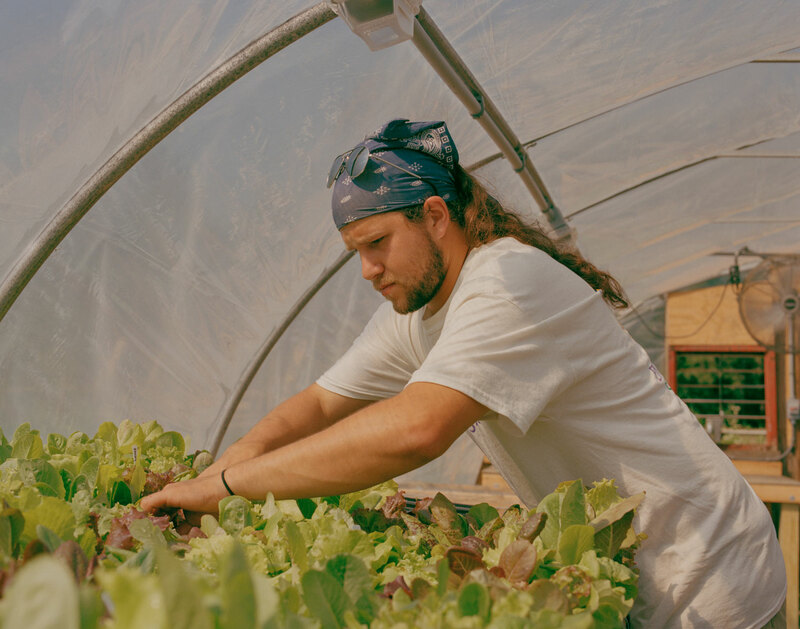 Yet throughout his recovery, Jay has taken a number of organic farming classes and certifications and is now able to manage a group of at least four or five guys each day. He’s more than proud to tell you that seven members of his team have been clean for over four years. "I just feel more at peace when I’m surrounded by trees, and green. 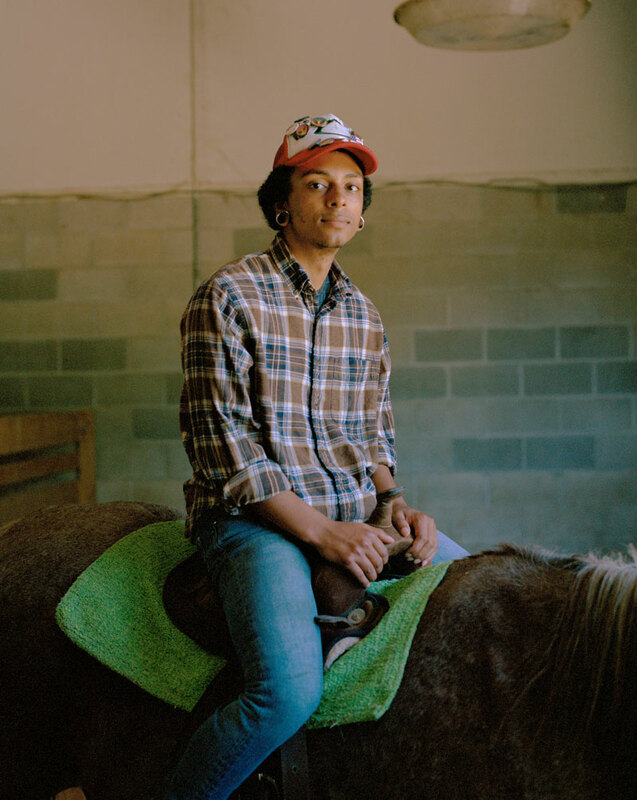 I guess it’s just getting down to the basics, like yoga, reiki, coming out here and being out here with the horses, living off the land," says Nikkita, who works with Jay at the farm. "It’s funny ’cause back in Virginia, the group of friends that I was runnin’ with they had this idea of ‘Vice City’—you know, everybody had the thing that they did. An escape." He looks out at the pastures, and then remarks, "I’m from Vice City, but I don’t live there no more. I’m just happy here." 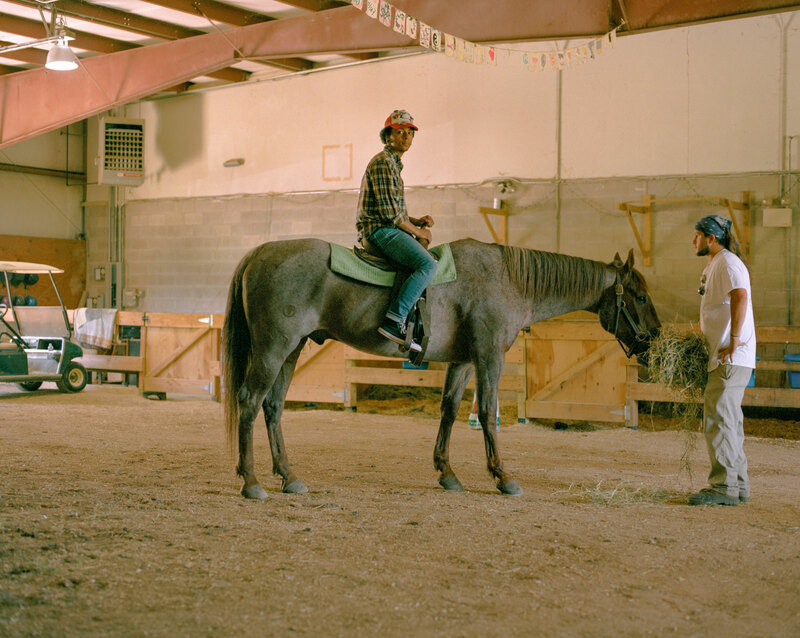 Nikkita, center, and Jay, right, tend to the horses at Hope Farm’s stable. Stigma, for him, is a result of being unable to relate. For those without addiction, Jay said, making a mistake leads to a correction; you reroute your course and learn from your mistakes. But addicts don’t have that privilege; instead, they continue to self-destruct. So recovery is really like “learning to walk again,” he said, readjusting the behavior you developed while using. Jay, Jack and David tend to plants at Hope Farm. While that task may seem daunting, if not impossible, to many, within the opioid epidemic there exists hope, Jay said. If you don’t believe him, come here to the farm. 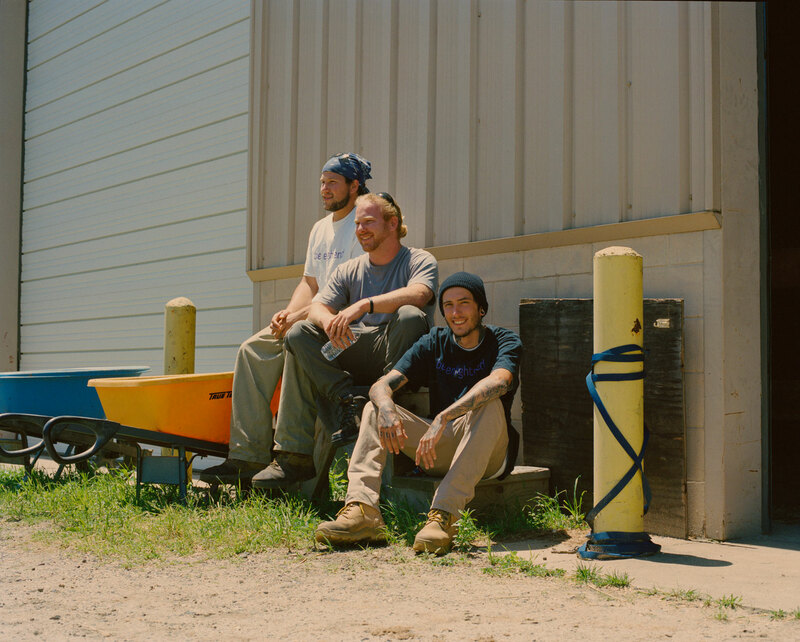 Jay, Jack and David share stories of using and recovery. But each morning on the farm, their day starts anew. If you or a loved one is living with opioid addiction, don’t be afraid to reach out for help. Contact the Substance Abuse and Mental Health Administration at 1-800-662-HELP (4357) to begin your path to recovery.